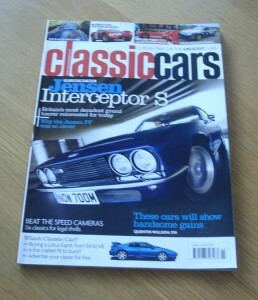 March 2008 of the British Magazine, Classic Cars. 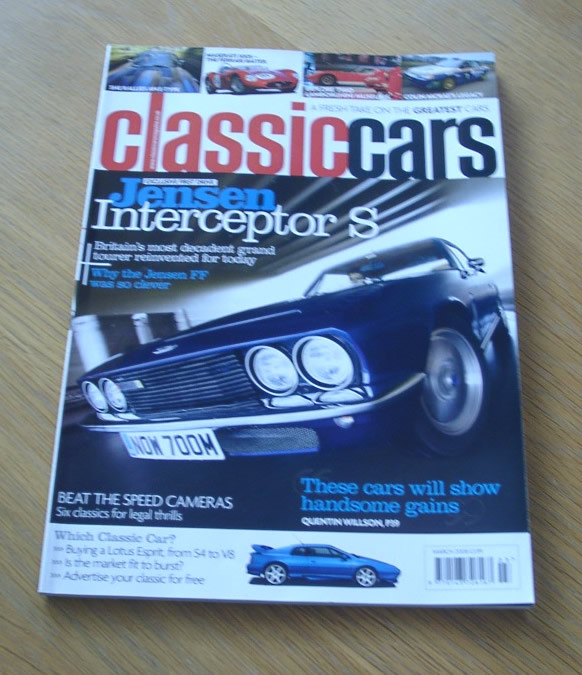 The cover feature of this issue is “Jensen Interceptor S – Britain’s most decadent grand tourer reinvented for today”. Other articles include items on the Icon Insight: Jensen FF, Maserati 300S, McRae’s Subaru Legacy, Lamborghini Museums, Beat the Speed Cameras, Me and My E-Type Rally Car and many more.